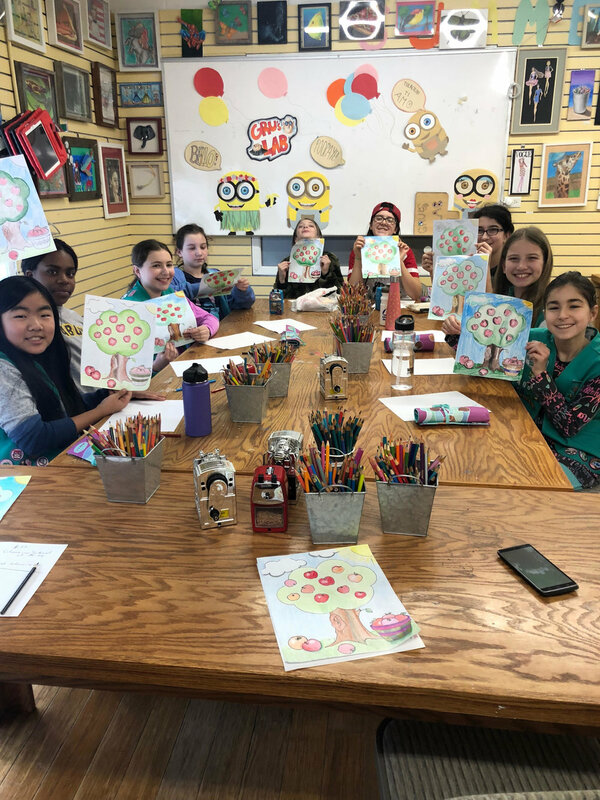 The Glenview School of Arts offers its spacious, brightly-lit, and welcoming space for events such as girl scout troop activities, birthday parties, art shows, workshops, and more! We encourage community social gatherings and with our open floor plan and private backroom, we can transform the studio for all kinds of events. The Glenview School of Arts can accommodate most requests due to our flexible hours and would be happy to answer any specific questions you may have about pricing, activities, etc. Please submit your party request via our "Enroll" tab on the website and we will contact you to set up a party date! Children must bring their own crayola color pencils.